Greetings to all my dear steemit readers!! Today all be making a Chinese dim sum dish that is loved by many Chinese. As always I would take this classic dish and add my very own twist to modernised it alittle. Dim sum is usually eaten as brunch, it consist of small bit size food. Part of the dim sum menu consist of wrapped item. There are some that are fried and some that are steam. As that being said, I am really glade I have a small advantage for this week theme"something wrap". 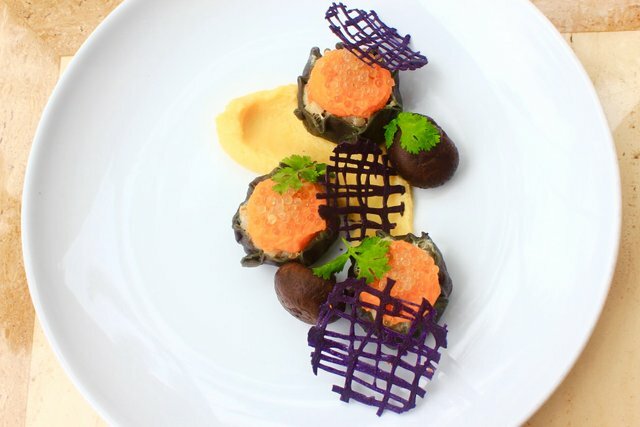 Mix meat wrapped in squid ink skin topped with carrot purée, shiitake broth caviar served along with sweet potato net crisp, smoked turnip purée and dashi braised shiitake. Like I said above, in dim sum we have many types for dish that is wrap. There is the deep fried dumpling, pan fried dumpling and the steam dumpling. I believe these dishes are much more common to westerner. That is why I decided to create something rare to westerners, the SIEW MAI aka opened face dumplings. Traditionally, the filling consist of pork and prawn but for my version I wanted to add a little more stronger seafood taste and more umami taste to the dumpling. Thus, I add dried shrimps instead of the fresh once. Dried shrimp is a very common ingredient used in Chinese cuisine. What's amazing about it is that it's dried therefore it has a intensified flavour. I also include two type of meat, chicken fillet and pork lion just for a much more complex flavour. I diced the meat instead of blending it so I get the mouthfeel of the meat fiber. 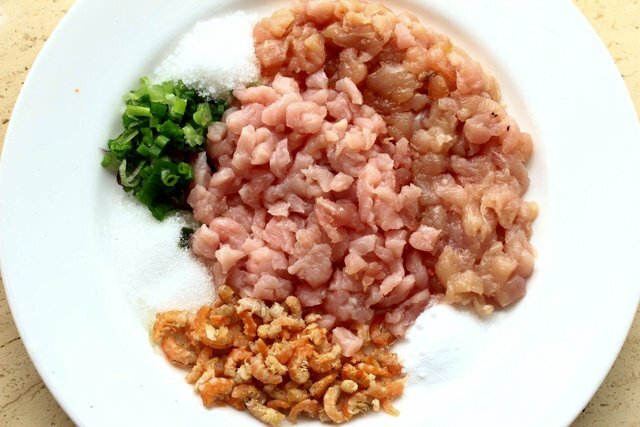 The seasoning I used are salt, sugar, Spring onions, gelatine and sodium bicarbonate. Addition of gelatine is mainly to absorb the juices that is released by the meat during the steaming process, this would ensure the meat is smooth and moist. As for the sodium bicarbonate, it to give the meat a satisfying bouncy texture. Traditionally the wrapper is made from flour, egg and salt. 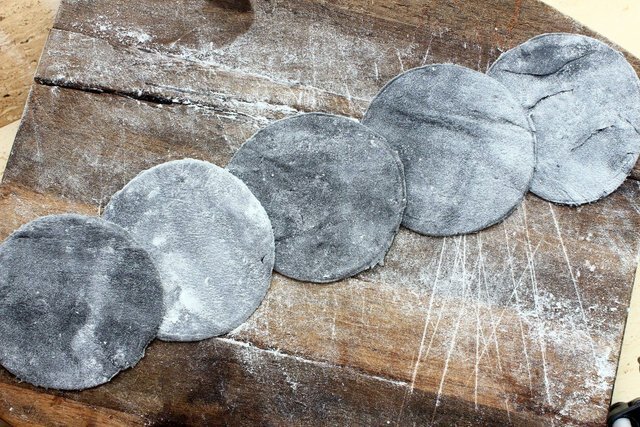 In western world squid ink is commonly used in pasta for its flavour and colour. I am gotten inspiration from that and decided to use squid ink for my wrapper. Not only its enhances the flavour but it's gives a very nice black pigment which compliments the whiteness of the meat filling. The wrapper is roll toll paper thin, it's important that the wrapper is extremely thin as steaming will swell the starch molecules in the wrapper bulking up it. If the wrapper is too thick, you'll end up with a crazy chewy skin. I have pan fried it on the flat bottom before add water to steam it to cook It though. The reason for the pan frying step is to created a slightly crispy bottom and giving a nice nutty flavour. Traditionally it's only cooked by steaming. 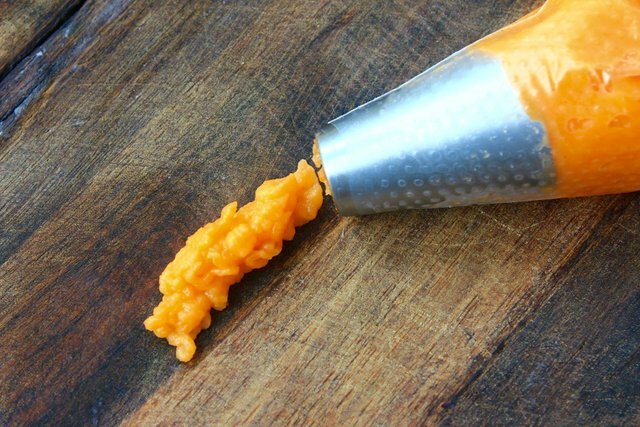 Since carrot is a very common vegetable used in Chinese cuisine and it has wonderful summer flavour as well as sweet flavour I have decided to make it into a purée to compliment the savoury opened face dumpling. Besides being flavourful and sweet, it also contributes a pleasent vibrant orange colour to the dish. This will be piped on top of the opened face dumpling. In my opinion, smoked stuff always gives a dish complexity and parsnip goes well with carrot. With that in mind i decided to smoked the parsnip and turn it into a purée which will be place in the plate when plating. 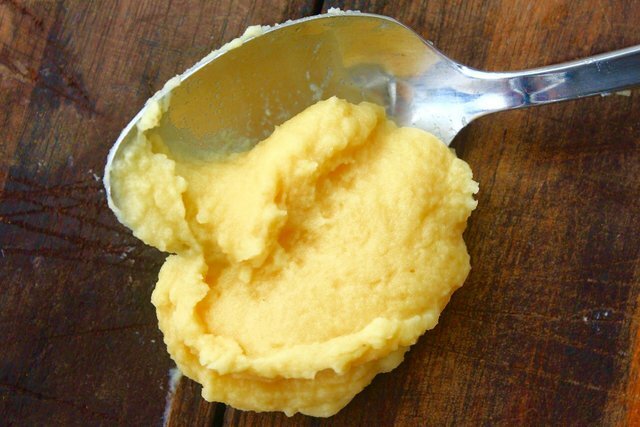 The parsnip purée consist of heavy cream and parsnip. In dim sum there are some dumplings that is served in a flavourful stock. As for my version I wanted to make things alittle more interesting, therefore I desided to go with mushroom caviar instead of the traditional liquid broth. The mushroom broth caviar should give a very interesting mouthfeel as biting into it the mushroom broth would burst its savoury taste and mushroomy flavour. I used a water bath made from 10% calcium chloride and the caviar made from dried shiitake mushroom, kombu, soy sauce, bonito flakes, sake , mirin and 1% sodium alginate. 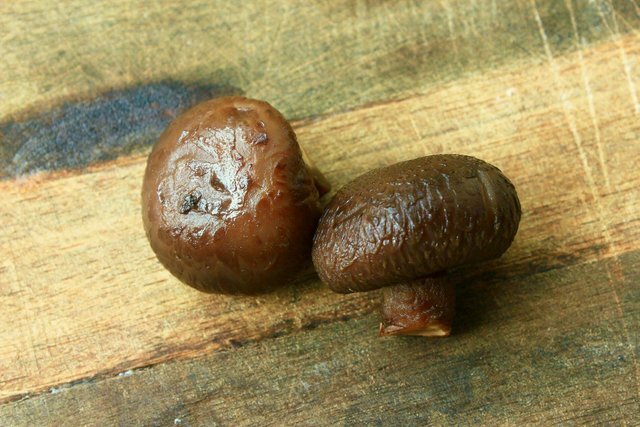 Since I never like to waste food, and there was mushroom left from the shiitake broth caviar, I have picked out the mushrooms before adding the sodium alginate. Of course the mushroom has its role. The mushroom is braised in the flavourful dashi stock and it have absorb the intense seafood flavour and the umami taste. This would be a great flavour booster to the dish as well as giving a bouncy texture. Once again in my opinion summer vegetable will always go well together, in this case this would go well with the carrot purée and parsnip purée. Since all the element in this dish is rather smooth and soft, I have decided to make a crispy element from sweet potato plus I think the colour really makes the dish stand out. Just to make this look more interesting, I have made a net crisps instead of the common slice crisp. 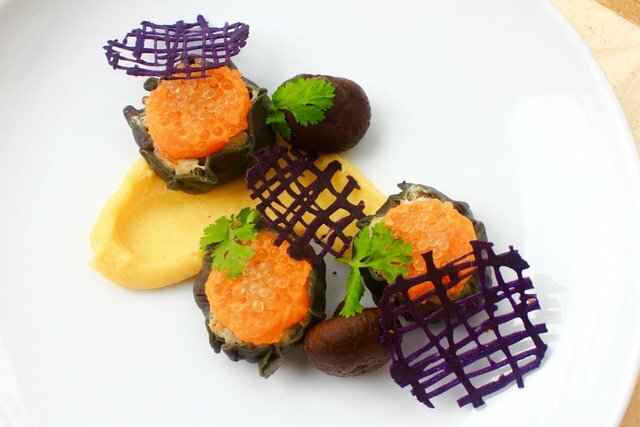 The crisp is made from flour, rice milk, purple sweet potato purée, salt, sugar. Great post as usual and beautiful showcasing of your dish. Good luck! And have also received a 0.40 percent upvote. This is crazy beautiful. Oh man you have some art on that plate! The colors and textures are stunning. Wow!!!! Hope you have a good week my friend! LEARN MORE: Join Curie on Discord chat and check the pinned notes (pushpin icon, upper right) for Curie Whitepaper, FAQ and most recent guidelines. It's so pretty! Such intricate work @alansthoughs, very impressive. I'm a fellow foodie too and have just posted a new recipe today. You're very welcome! Looking forward to seeing more! I am so glade you found a element "amazing "!! Very pretty dish @alansthoughs. I like your idea to add dried shrimp to the filling. The squid ink adds that nice ocean flavor too. 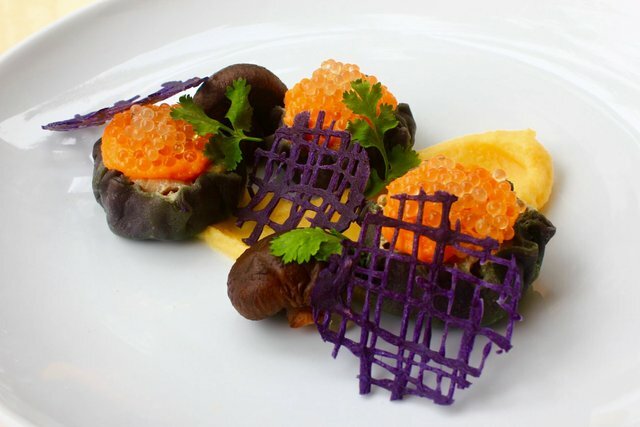 The mushroom caviar is beautiful and I'm sure tastes great too. The smoked parsnip adds to the richness and depth of flavor in the dish and you have a nice crunchy element with the sweet potato. This is a well thought out and executed dish. Thanks for sharing it with us! Thanks @lizelle, I was just really lucky. Other contestants did great and deserve a upvote from curie too! You are too humble @alansthoughs! Hahaha I am just honest! Another beautiful and inspiring entry @alansthoughs. 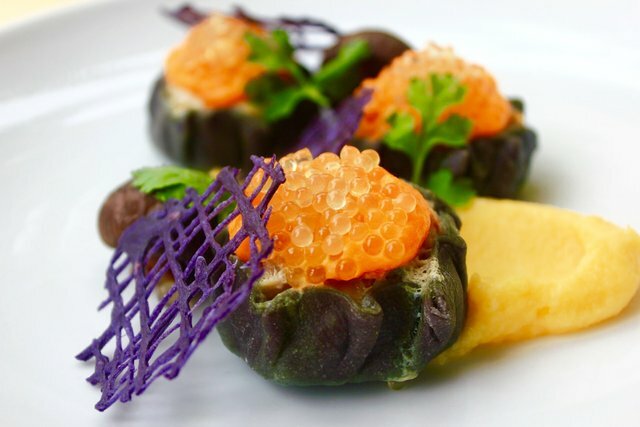 Wonderful colors and textures and amazing flavors all on one plated dish. The ingredients you used make me feel at home as they are either familiar to me or they are ingredients that bring back memories of my growing years. I love those dried shrimps. You're right about the flavor ... intensified. I love using them for that reason. You elevated your dish by introducing that umami factor. Well done! 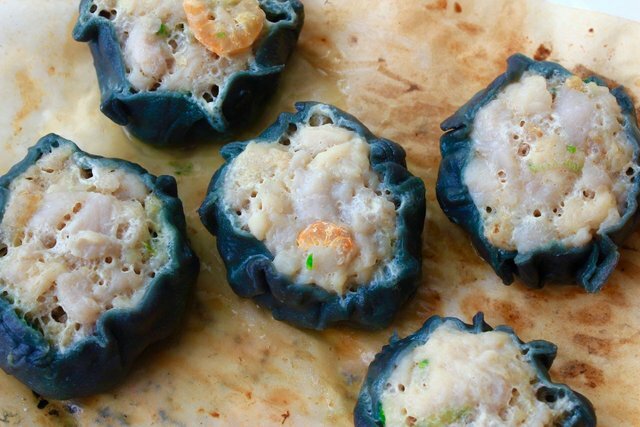 The squid ink wrappers are perfect for your shu mai especially because you incorporated dried shrimp into your filling. Again, brings back memories ... squid ink is accessible where I live but not as accessible as in the Philippines so when I'm in a country where they use it in their dishes, I like going for it. Purple potatoes ... In the Philippines, we call it ube and I am a big fan. 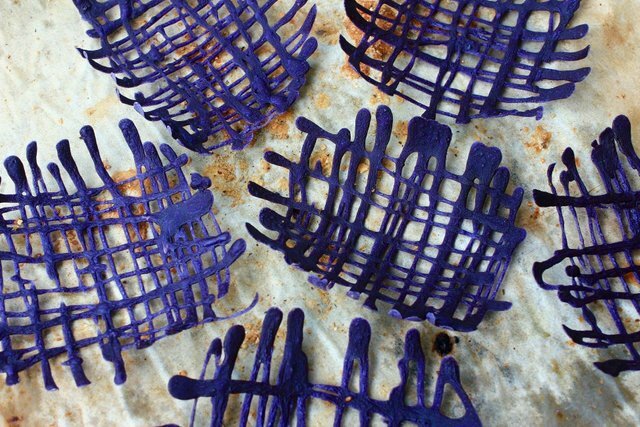 Your sweet potato net crisps look beautiful and must taste lovely. Shiitake broth caviar - yours turned out perfect. I like the burst of flavor in the mouth it creates. So fun! And shiitake is definitely a great candidate for these caviars. But I'll let you know that when it comes to spherification, I used to find it as a challenge. I'm better now but when I first started experimenting, I was always frustrated as I couldn't get it right despite careful and precise measurements. 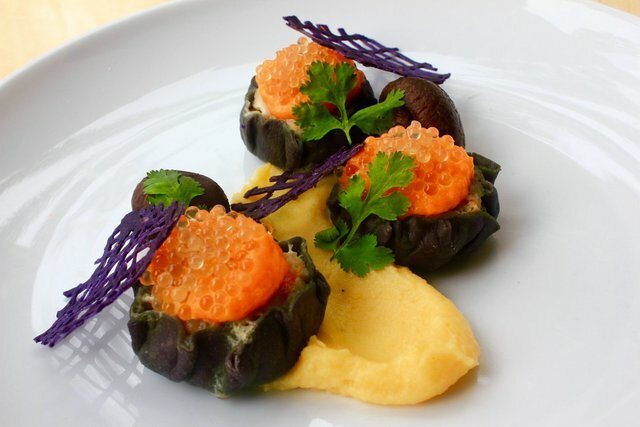 When you get a chance, check out my spherification posts. Any tip you can share to help me improve is welcome=D! Before I go, I'd like to thank you for your contributions to Cook with Us! Wonderful entries! We know it takes time, planning and a lot of work to get each entry ready. Hope you enjoy the break and see you in Season 2! Funny thing is that ube m sounds like ubi which is what we call potato in our language. To be honest I had many issue with the caviar when I first started. 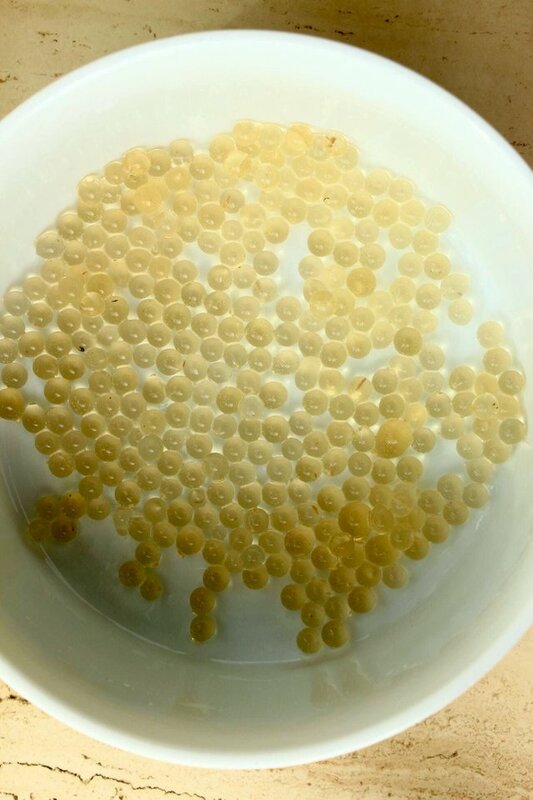 And yes ur right, spherification process have to be done very precise especially for the measurement for the ingredients. End of the day, exprience do play a large role in nailing this technique. I appreciate ur acknowledgment, it's my pleasure to share my creation with the community:) thanks for all ur support throughout the contest! 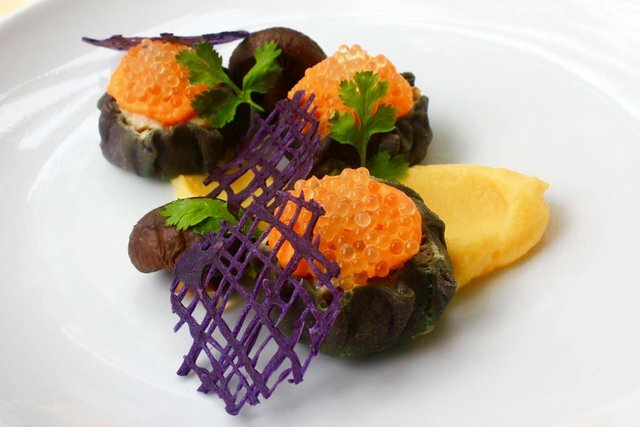 Will send you some links to my previous posts with spherification. I don’t remember which ones they are but will definitely look for them them then send them your way in the next few days. Hope you’re enjoying the break. Hello @alansthoughs! This is a very beautiful dish! The plating is very beautiful again. But what really blows my mind is that shiitake caviar. What an amazing idea! I love, love love this. I thought about making my own vegetable infused caviar but it always seems so complicated to make. Maybe I should really try it out soon! Congrats again to your prize! Don't be afraid of it, you may get it wrong the first few times but I'll assure you that you would overcome the obstacles soon. Just say the word and I'll share with you all my knowledge of it ! Thanks for your compliment ! !